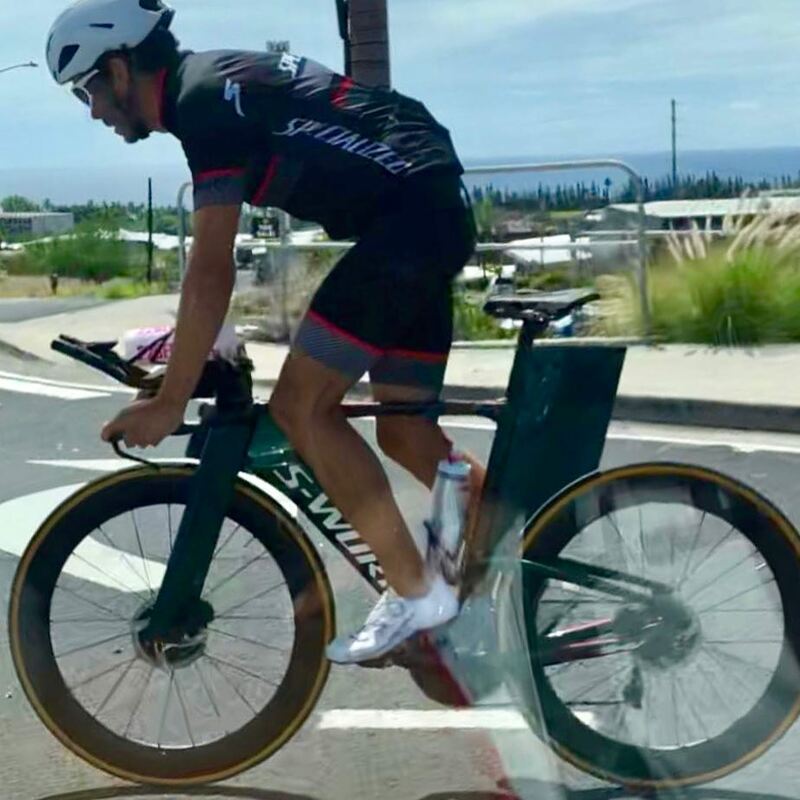 I’m not a triathlete, but every year at this time, I say bring on Kona and the wild TT (time trial) bikes. Because that’s where bike companies let their engineers do more than bolt electric motors onto double diamond frames. They also don’t have to adhere to UCI rules and just make what goes fast. To that end, Specialized launched a Shiv with a wing on it. And, ENVE released a disc wheel. The SES Disc features a unique one piece molded construction that is free of bonding with the exception of the hub shell. The backbone of this one piece molded construction is a machined PMI core sandwiched between Spread Tow Carbon Fibers. This construction method strengthens the wheel considerably while also saving weight allowing the SES Disc to weigh in at an impressive 1225 grams. level of experience and the average speeds that the rider will achieve. For riders that will average over 27mph/43kph, a rear disc will prove a faster solution on certain courses. The wind too and it’s notorious at Kona. 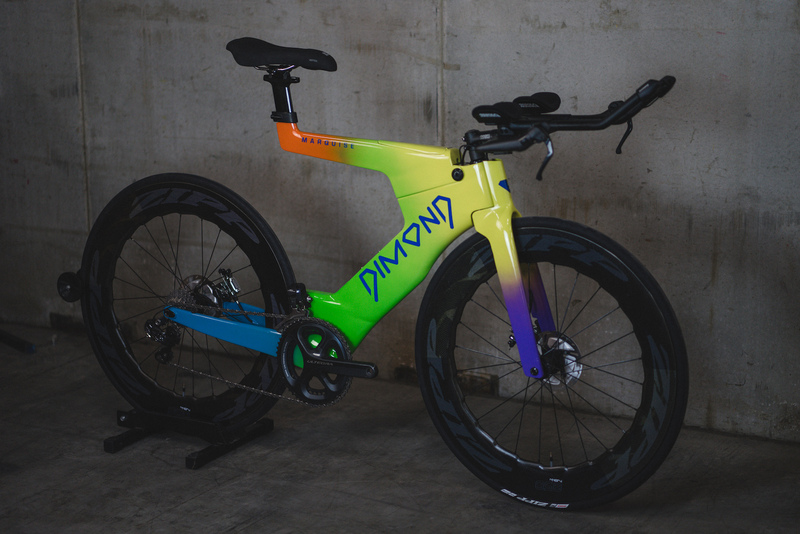 Also see the $7499 Dimond Marquis with thru-axles and discs. 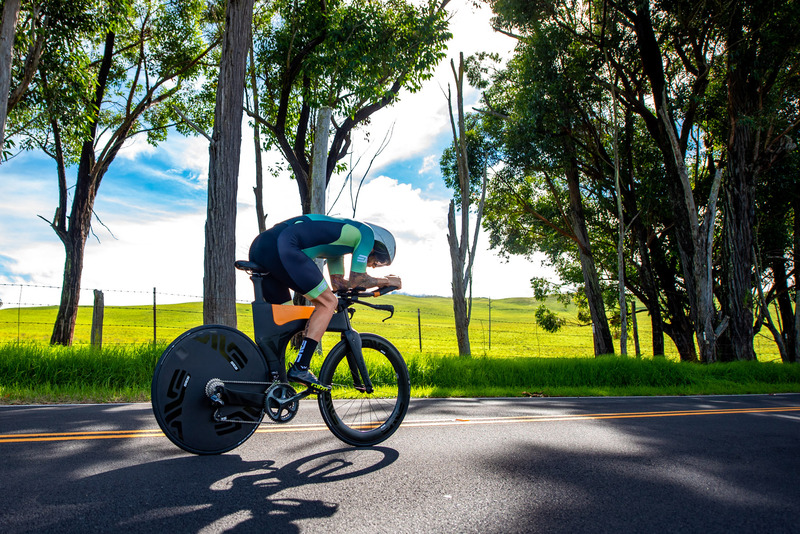 It’s the TT bike, where a frame and fork have been designed to offer plenty of tire clearance that we see designers unbridled by brake tracks, do their thing. Of course, if they have the budget not diverted to motorization. For more Kona content, follow Matt Hill who’s there with Diamondback now. …and then the rains came.